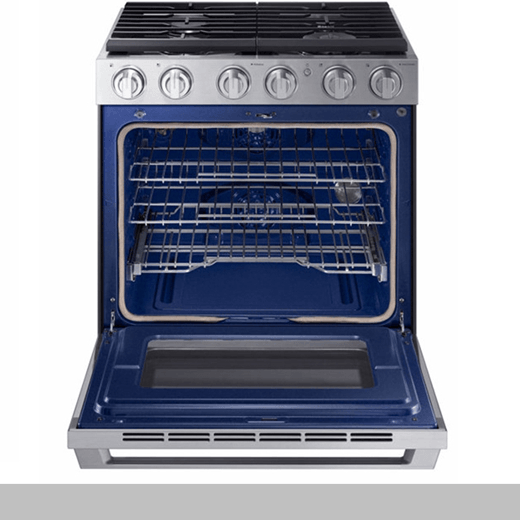 The Built-In Chef Collection Cooking Package presents enhanced practicality in the premium built-in market, which has so far focused on the look. It is designed to give users the inherent joy of touching and using a kitchen appliance, going beyond the sheer satisfaction of owning them. With modern details added to a candid and reasonable design language, the design is made to match any kitchen space. The application of the latest analog-like digital technology, such as the digital-analog control, Virtual Flame Technology™, and Wi-fi and Bluetooth Connect, enables users to have a smarter and more fun cooking experience. Designed by: Jaejun Kim, Hyunsoo Kim, Gisung Han, Jichang Kang and Myeonghee Bak of Samsung Electronics Co., Ltd.